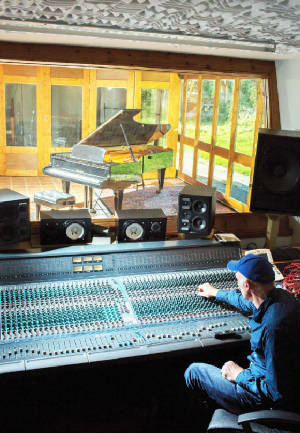 Set in 20 acres of beautiful grounds, The Byre recording studio is the ideal place for track laying or mixing. The studio recording area can be opened up to give one the feeling in Summer of recording outside, when the last rays of sunshine disappear after 11 pm. 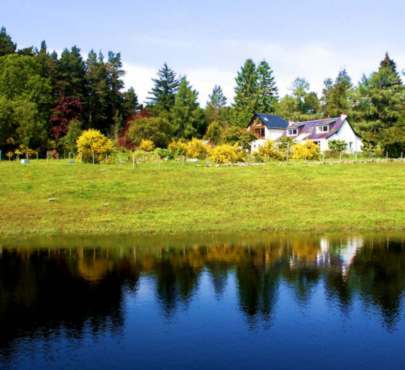 This is the place to record when you want to 'get away from it all' without having to make compromises. We have been building a new workshop and mastering facility next door to the studio and this will be ready very soon and will allow us to provide HDTV and 4K recording and editing, as well as stereo and 5.1 mastering and DVD authoring. The 1400 sq ft building has been built entirely from timber from our own woods and is clad in planks of Scots larch from trees that once stood directly behind the studio. Future plans include further building work and a 48-track mobile recording facility. 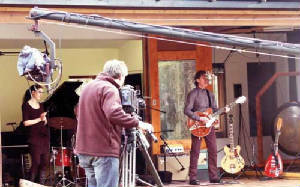 Built on the site of an old byre (barn), the Byre Recording Studio provides a high quality recording evironment. If you are experiencing difficulties with this website or the address line at the top of your browser does not show the-byre.com you may have our old site that is still listed by some search engines. Click here to reload.